It started in line for cheese samples. 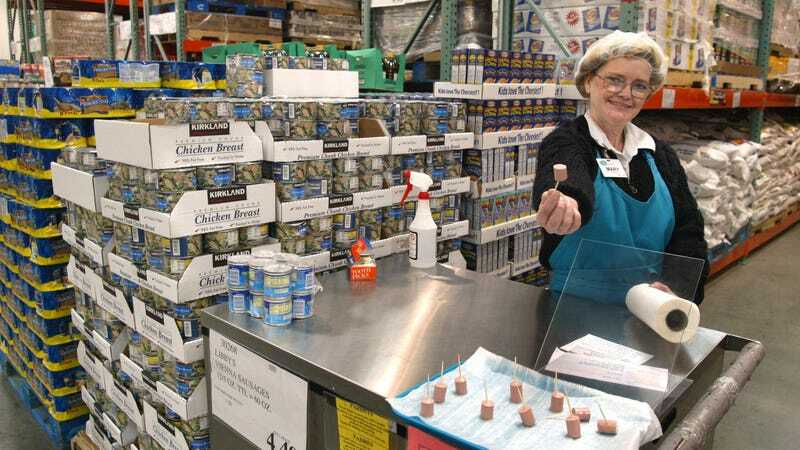 Police say a dispute over free cheese and cheeseburger samples turned violent at a Greenville, South Carolina Costco last week, according to an incident report cited by The State newspaper. Police are investigating surveillance footage after a 72-year-old man allegedly hit a 70-year-old man in the right side of his head, knocking off his hat and glasses. The two men reportedly were in a dispute over line-cutting. No arrests have been made. According to the incident report, the 70-year-old says he was waiting in line for cheese when the Hawaiian-shirt-clad 72-year-old cut in front of him, took a cheese sample, and walked off. The two found themselves in another line together awaiting cheeseburger samples, at which time the 70-year-old invited the other man to step in front of him, “because he knew he would cut the line anyway.” The man replied that, in fact, he would do it again. The two then came to fisticuffs. The older man in the Hawaiian shirt who dealt the first blow had left the store by the time police arrived, but authorities were able to track him down, at which point he admitted to his involvement in an “altercation” at Costco. Police are still in the process of investigating.